We find the cheapest and best for your money! 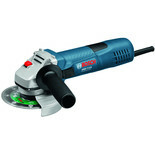 We Search Trusted Retailers DAILY to find you the best deals on Angle Grinders and the latest Angle Grinders sale to save you money. Showing Machine Mart sales, deals and offers. Hi, I find the best cheap stuff! I'm Gordon and I created this site to find the best cheap stuff around so you save money while getting the job done. 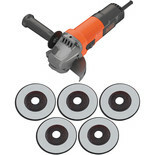 There's a great many uses for an angle grinder and these are just tools for the tradesmen. 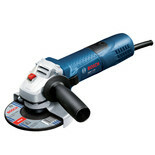 There are many jobs round the house that can be made easier if you've a good quality cheap angle grinder in you tool box. 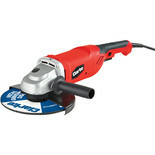 The cheaper angle grinders are usually corded ones and you could get a no named angle grinder for around £20. These are ideal for those who do the occasional work around the house. 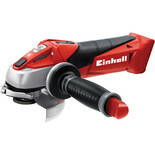 Cordless ones can also be found fairly cheap, but too cheap and the battery might not be up to much in terms of time between charge, or power. 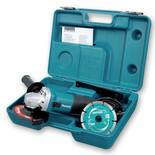 A good mid range cordless angle grinder should set you back around £40-£50. This should come with a few different pads, or discs to get you started. 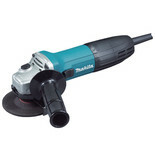 There's so many uses for an angle grinder, from sanding, to cutting, removing paint with softer discs without damaging the metal work and so many more. 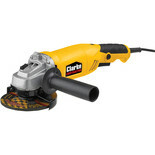 It pays to shop around so you can get some really value for money on an angle grinder. 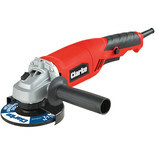 If you do a lot of jobs around the house and are a keen DIYer then you'll probably have a lot of hand held power tools. 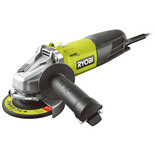 Ryobi have a great range of power tools the are all cordless. The good thing about this is they are so much easier to use. Plus one of the best things about Ryobi is that all of the batteries are interchangeable. So you only need a few batteries to power all the tools that you have. As long as they are all Ryobi, of course. 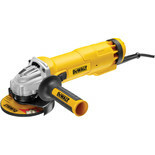 This can save you loads of money when it comes to getting a quality high end brand as you only need to buy the tool and not the battery once you have a couple of Ryobi batteries. 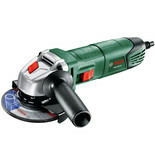 Other ways to make a saving of angle grinders, and all power tools is to shop for second hand tools. This is where you can really make big money saving buys. Also don't forget to check out the clearance sections or sales sections of the larger retailers too. They are always offering great deals so that you buy from them and all this can be done from the comfort of your home on the internet. The prices in this list are from the big retailers, Argos, Wickes, B&Q, Machine Mart. We also include any sales that they are running so it's easy for you to see who is selling the brand of angle grinder you want for the cheapest price.